The NATO Istanbul Summit brought with it a reaffirmation of the EAPC’s Member States’ conviction of the importance of effective and efficient state defence institutions under civilian and democratic oversight and guidance for regional stability and international co-operation in the domains of defence and security. A Partnership Action Plan (PAP) on Defence Institution Building (DIB) was introduced which aims at the re-enforcement of Partners’ efforts to initiate and carry forward reform and restructuring of defence institutions in the light of their commitments undertaken in the context of such documents as the Partnership for Peace Framework Document and the OSCE Code of Conduct on Politico-Military Aspects of Security (see http://www.nato.int/docu/basictxt/b040607e.htm). Given NATO’s special focus on the Caucasus and Central Asia as well as Moldova - and, as Assistant Secretary General for Political Affairs and Security Policy Günther Altenburg put it at the 2005 PfP Symposium at Oberammergau ‘to pay due attention’ to the interests of these states, these Partners are especially invited to consider co-operation on PAP-DIB related issues. In the implementation of PAP-DIB objectives, Allies and Partners vowed to explore opportunities to co-operate with international organizations and institutions which share a commitment to and expertise in (assistance to) transition to democracy and democratic institution building (see also http://www.osw.waw.pl/en/epub/ekoment/2004/07/040701.htm). 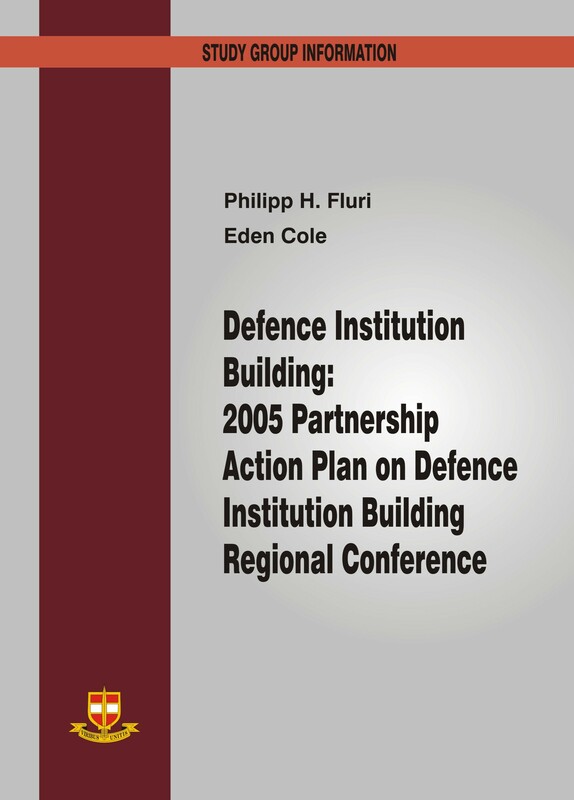 • The development of effective and transparent arrangements to ensure effective international co-operation and good neighbourly relations in defence and security matters (ibidem). The Geneva Centre for the Democratic Control of Armed Forces, an International Foundation under Swiss law with 46 Member States (see annex) focused on the documentation and promotion of good practice in the sphere of Democratic Security Sector Governance is honoured to have been mandated by the Swiss government to co-operate with NATO International Staff, Member and Partner States and their pertinent institutions on the implementation of the Partnership Action Plan on Defence Institution Building. During the 5 years of its existence, the Centre has acquired, and in fact, documented its prowess in virtually all PAP-DIB relevant areas, and is now prepared to share its own and make the expertise of its partner institutions available to the PAP-DIB process. The Centre therefore much welcomes the Swiss mandate which enables it to co-operate with NATO IS.